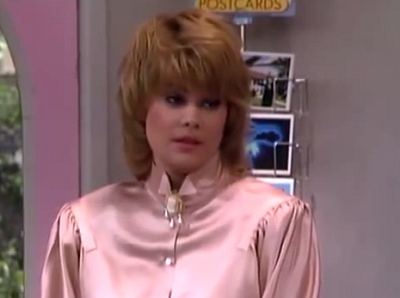 You take the good, you take the bad, you take 'em both and there you have... Blair Warner's hair through the '80s. Before Gossip Girl's Blair Waldorf, there was another queen bee called Blair on the block. And while her namesake's signature fashion statement was the hairband, Blair Warner's crowning glory was, well, her crowning glory. Blonde, bouncy and big, her hair was a queen bee status symbol through all nine seasons of The Facts Of Life. To take a look back at Blair's hair history is to see it spectacularly evolve and become more awesome as the '80s progressed (or awesomely awful if we're going by non-'80s standards). 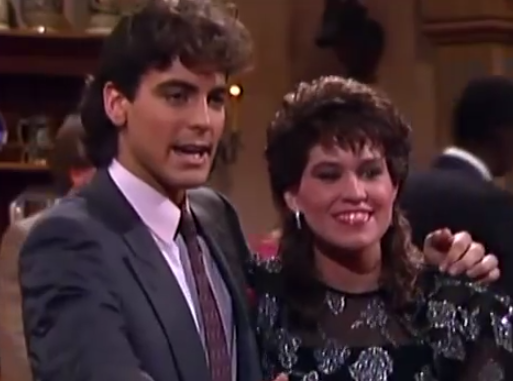 By non-'80s standards, this is one Blair's best hairdos. This is probably because when Blair sported this mane, the '80s hadn't even really started. Blair's curls seemed to take on a life of their own as they grew even bigger and bouncier. This was a season where we saw a more dramatic change in Blair's hairstyle. It exhibited some slight mullet tendencies as Blair opted for short layers on the top and Florence Henderson-like flicks at the bottom. 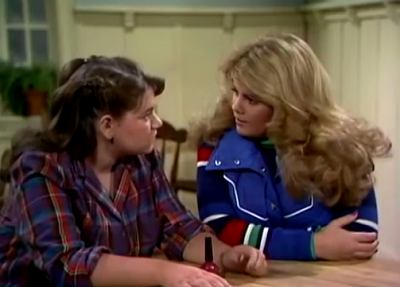 Before Wicked's Elphaba, it was Blair Warner who defied gravity... with her hair. Blair managed to channel Melanie Griffith in Working Girl three whole years before that film was released for her 'Blair means business' look. Get set for the money to start rolling in, Edna's Edibles! And just when you thought Blair’s hair couldn't get any bigger, it did. Is this one of the most '80s things you've ever seen or what? But hold up, season seven also saw a slight deflation of the hair. After all, what goes up must eventually come down. Blair opted for a softer hairstyle in the 1986-1987 season. We'll end our hair retrospective by paying our respects to the big fringe, popular around 1987-1988 and, of course, mastered by Blair Warner. No matter how bad Blair's hair may have been in certain seasons – specifically, at its season seven height (and we mean height in the literal sense) – it was arguably never as bad as Jo's hair. 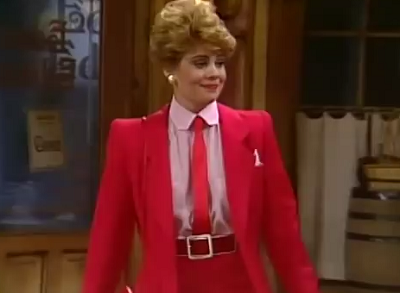 Correction, this is the most '80s thing I've ever seen. And yes, that is George Clooney.